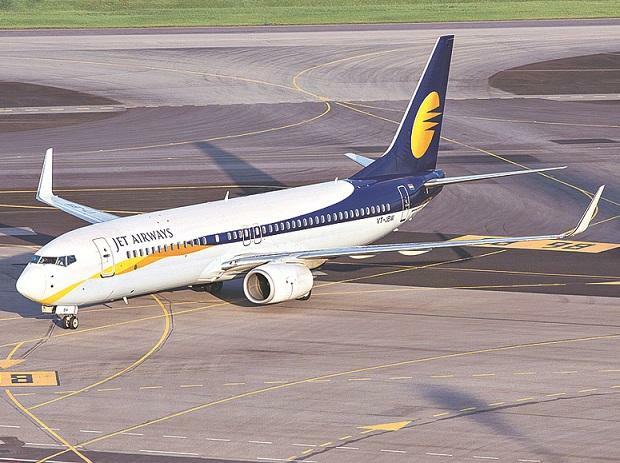 Jet Airways is offering its Boeing 737 pilots leave without pay following the grounding of over half its fleet. The operating fleet is down to 30-35 from more than 100 since last October, resulting in massive flight cancellations and stand-by duties for its pilots. Of 1,400 pilots the airline has, 200 have quit in the past few months because of salary delays. The number of pilots flying the Boeing 737 planes is around 1,000. In a staff communication, Captain Amish Ved, chief pilot on the 737 fleet, said the company had received requests for extended time-off due to changes in operational requirement, including leave without pay for some pilots. Accordingly, Boeing 737 pilots seeking a long break or sabbatical between April and September can submit their requests to the office, he said. Jet has not paid its pilots, engineers, and senior management salaries for the past three months. Offering leave without pay would help it cut down its liabilities. The airline has also sent its foreign pilots on a furlough. A significant portion of pilots’ salaries comprises flying duty allowance. Jet pilots earn around Rs 2.4-2.7 lakh in allowances. The operations department has also proposed changes to the crew duty pattern. Due to reduced flights, crew will be assigned five-day work and three-day off pattern from April 11-26. At present, pilots have a six-day work and one-day off pattern. According to the agreement between the airline and the union, pilots can be assigned duty for 22 days each month and will be paid salary and allowances accordingly. A source said duty allowances would not be cut due to changes in work pattern. Last week, Jet informed the civil aviation ministry it would operate 75 planes by April-end after negotiating payment plan with its lessors. The civil aviation regulator had approved its schedules only till April 25 and the airline was asked to submit a fresh operational plan. This was after lenders agreed to provide emergency funding of Rs 1,500 crore. The pilots’ union decided to defer no-flying agitation to April 15, giving the management additional time to resolve funding issues.